"Manifest" aside, numbers keep trending downward and critical response is tepid. But some networks find silver linings in other metrics. The sky is falling for network TV. Then again, the sky has been falling for decades — and yet, the broadcast networks are still here, despite all the gloom-and-doom prognosticators. But the first night of the new fall TV season was met mostly by a yawn from viewers, and will feed another cycle of the-networks-are-dying narratives. Of course, there’s some truth to that. Just five years ago, NBC led the first night of premiere week (Sept. 23, 2013) with a 4.6 rating among adults 18-49, while ABC was in fourth with a 2.3 rating. This year, NBC led all networks on Monday night — with a 2.1, while fourth-place ABC landed with just a 1.2. But on the positive front, the four major networks’ total viewer averages combined to 32.3 million on Monday night, up from 31.2 million on the first night of premiere week a year ago. And NBC launched new drama “Manifest” to a solid — hell, for 2018, a tremendous — 2.2 rating and 10.4 million viewers, making it the network’s most-watched drama series premiere in three years. And as has been pointed out, the night’s lowest-rated program, CBS’ “Bull,” still rated higher in the adults 18-49 demo than anything on cable that night (save, of course, ESPN’s Monday Night Football, which trumped all). Most of the networks’ year-to-year viewership gains on Monday came from Fox’s decision to air the return of two scripted series on night one, “The Resident” and “9-1-1,” instead of last year’s much lower-rated “So You Think You Can Dance” finale. That boosted Fox’s viewership by nearly 4 million viewers vs. the same night last year. Otherwise, Monday was a story of declines. (Well, except for the networks’ median age — that keeps rising, to over 60 years old). Returning hits like “The Big Bang Theory” (down 39 percent), “The Good Doctor” (down 41 percent), “Young Sheldon” (down 55 percent), “Dancing with the Stars” (down 29 percent), “The Voice” (down 23 percent) and “Bull” (down 31 percent) all slid double-digits vs. last year’s premieres. Cause for concern? Yes. The steady reality of a business that is already changing its business model? Also, yes. Nonetheless, the networks are finding it ever tougher to keep the old habit going of watching programming in a traditional fashion. “It’s really hard to stand out now,” said a network executive who lamented the fact that they’re facing nonstop competition from cable and streaming. Netflix, for example, launched the heavily hyped Emma Stone/Jonah Hill series “Maniac” the weekend before premiere week. It also didn’t help that the general consensus from critics and early season buzz was that there wasn’t much to get excited about this year. 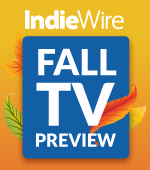 As a result, several insiders have told IndieWire that awareness of new shows was steady (thanks in part to familiar titles like “Murphy Brown”) but “intent to view” levels — the measurement that asks viewers whether they plan to actually watch a show — were at historic lows. People just aren’t going out of their way to search out broadcast shows. That perhaps was borne out on Monday, when “Magnum PI” opened to disappointing numbers. Networks have been relying on familiar titles to cut through the clutter, but the “Magnum” premiere may signal another troubling sign for broadcast. As fall progresses and ratings slip even lower, networks will have to continue to de-emphasize the importance of ratings and focus on the changing business model that sees more revenue from retransmission fees, international rights, and backend dollars from streaming rights.